Now this is something refreshing for a poster, even if it is a throwback to decades ago. 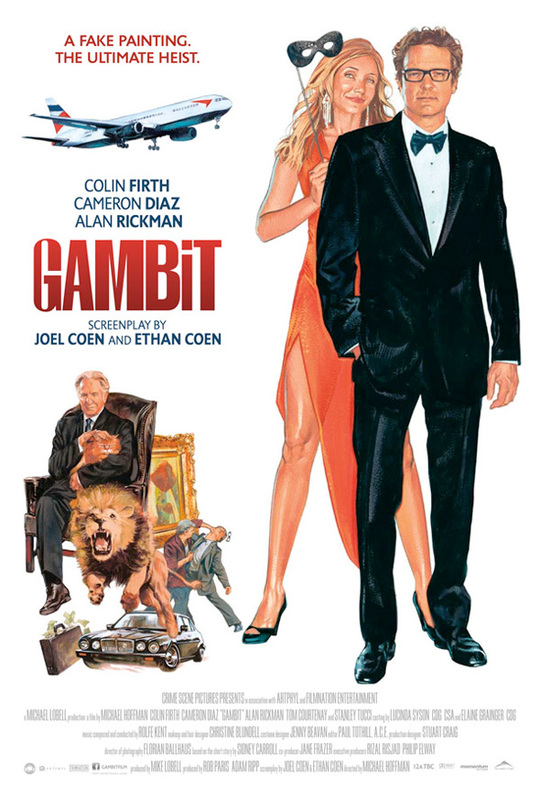 Over in the United Kingdom, the Coen Brothers scripted remake of the 1966 caper flick Gambit from director Michael Hoffman (The Last Station) arrives in just over a week, right before Thanksgiving. Audiences in the United States will be waiting until early next year to see the heist comedy starring Colin Firth, Cameron Diaz and Alan Rickman, but in the meantime, you can check out this awesome throwback poster that takes cues from the decade of the film being remade. It looks like an old school James Bond poster. Look below!